Click to download the files below. 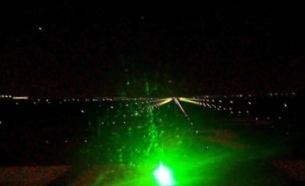 Some additional documents are on the pages Information and studies from FAA and others and Information and studies on laser safety. Longer version of paper presented at the 2015 International Laser Safety Conference in Albuquerque. An excellent overview for persons in aviation including pilots and regulators. Technical report: "The outdoor use of lasers and other high-intensity light sources in relation to air traffic safety"
Color flyer: "Caution, Never Aim Laser Pointers at Aircraft"
A one-page sheet that can be used by laser pointer distributors and dealers, to inform customers not to point lasers at aircraft. It is suggested to include one sheet per shipment to an end user customer. The flyer and/or the information on it may be freely downloaded and reproduced. B&W flyer: "Caution, Never Aim Laser Pointers at Aircraft"
Flyer: "Caution, Never Aim Handheld Lasers at Aircraft"
A one-page sheet that can be used by distributors and sellers of handheld lasers that are more powerful than "pointers" but less than Class 4, to inform customers not to point lasers at aircraft. It is suggested to include one sheet per shipment to an end user customer. The flyer and/or the information on it may be freely downloaded and reproduced. B&W flyer: "Caution, Never Aim Handheld Lasers at Aircraft"
Color flyer: "Warning, Must Be Used With Extreme Caution"
A one-page sheet that can be used by distributors and sellers of Class 4 handheld lasers, to inform customers of the many hazards of these lasers. It is suggested to include one sheet per shipment to an end user customer. The flyer and/or the information on it may be freely downloaded and reproduced. B&W flyer: "Warning, Must Be Used With Extreme Caution"
FDA Flyer: "Illuminating the Hazards of Powerful Laser Products"
A three-page PDF brochure from the U.S. FDA. 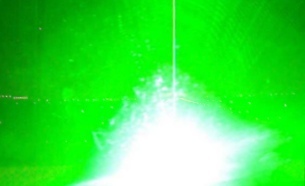 Covers hazards of high-powered laser pointers (> 5mW), FDA's authority, and tips for consumers. 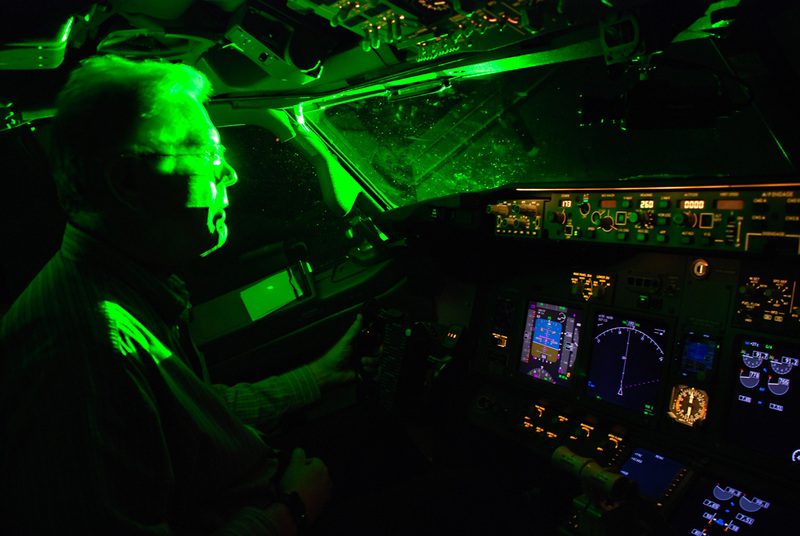 Still JPG photo, largest size available, showing the view from a cockpit of an FAA Boeing 727 simulator used in 2004 FAA simulator study of laser light effects on pilots. 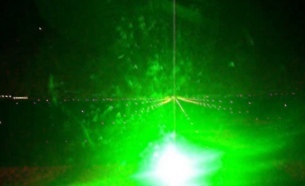 Still JPG photo, largest size available, of 0.5 µW/cm² laser light aimed at cockpit. Corresponds to a 5 mW laser pointer at 3,700 feet, or a 50 mW pointer at 2.2 miles. Still JPG photo, largest size available, of 5.0 µW/cm² laser light aimed at cockpit. Corresponds to a 5 mW laser pointer at 1,200 feet, or a 50 mW pointer at 3,800 feet. 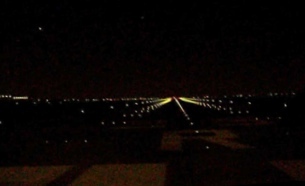 Still JPG photo, largest size available, of 50 µW/cm² laser light aimed at cockpit. Corresponds to a 5 mW laser pointer at 350 feet, or a 50 mW pointer at 1,100 feet. Still JPG photo, highest resolution available, from the FAA. Public domain.